A 20-year-old, direct-contact water heating system continues to deliver optimum performance for a Canadian Hospital. 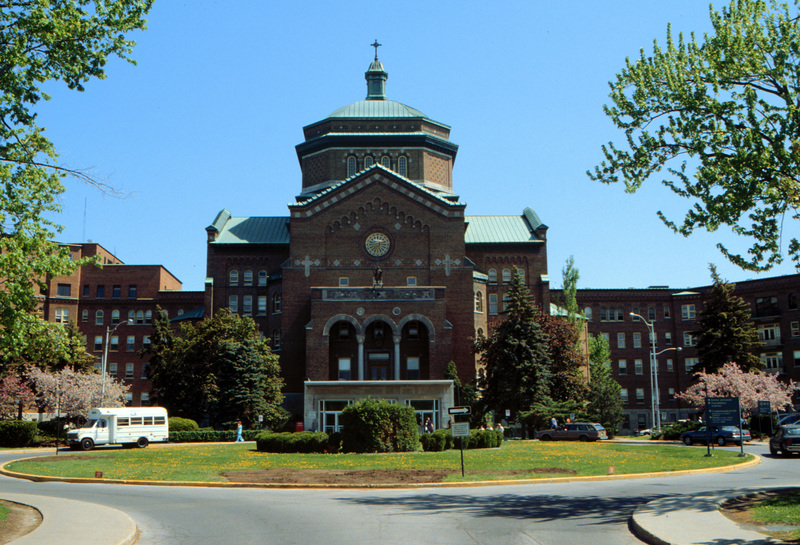 Sacré-Coeur, a teaching hospital and health center associated with the University of Montreal, sits on a more than one million square feet. The main building dates back to 1925. It was originally a center for the treatment of tuberculosis run by the Sisters of Providence. Today, the 700-bed hospital offers patients a full range of medical and surgical facilities. When the renovations began in the early 1990s, the boiler plant, which is separate from the main building but connected by an underground tunnel, had three 450-horsepower (4.4-Megawatt) steam boilers at 125 psig (860 kPA). It also housed two piston-type, steam-actuated, forced hot water circulators and two piston-type, steam-actuated boiler makeup systems. In addition, two 650-horsepower (6.4-Megawatt) boilers heated the nuns’ residence. A major upgrade to the boiler plant was required. The equipment was aging and becoming less efficient while spare parts for repairs were even harder to find. Because of the low-grade oil number 6, the oil heater had to be operated year-round, and pollution was a growing concern. For example, acid (SOx) droplets and soot deposits regularly fell on cars and neighboring houses. To comply with Province of Quebec power plant regulations, constant supervision of the boiler premises had to be maintained 24 hours per day, requiring a heating plant crew of six boiler house operators. The consulting engineering firm, Dessau-Soprin—represented by Laurier Nichols, engineer—was retained to work with hospital officials, particularly Brabant. At the beginning of the 1990s, direct-contact water heating technology was relatively new. Brabant was familiar with the concept and Laurier Nichols was convinced that it could be the right solution to specific requirements. “We turned to Montreal-based Sofame Technologies because even then, the company had a solid record in designing and manufacturing customized direct-contact water heating systems, and it had the expertise to address the specific requirements of the project,” says Nichols. For example, the plant’s maximum steam requirement was 55,000 pounds per hour (16 Megawatts per hour) during the year before the renovation. Despite this, the team decided to limit the steam production capacity to 12 Megawatts per hour. The building and domestic hot water heating would be provided partly by other heating solutions requiring no supervision. If the total output of all the boilers operating simultaneously were less than 12 Megawatts per hour, the supervision requirement is one visit to the plant for every 24 hours of operation. That would be the case for this upgrade. The flue gases of a standard boiler that generates steam at 125 psig normally reach tempertures in the range of 450 F (232 C) to 500 F (260 C). The team was intent on increasing plant efficiency by decreasing flue gases to 100 F (38 C). They knew it could be done if low temperature water could be made available at the cold side of the heat exchanger. The design of the boiler plant needed to take advantage of the low temperature of the water for domestic hot water (DHW), the boilers’ makeup and the laundry; the low temperature of the incoming air in the boiler room; and the low temperature of the return of the building heating water (old cast iron radiators). With those objectives in mind, the team turned to a Montreal-based company. The founder took charge of custom designing and manufacturing a comprehensive system of direct-contact heat recovery with equipment that would meet all the objectives of the plant upgrade.